Dhaka, 10 Dec, Abnews: Aimed at turning Jessore as a technology-based city and digital economy hub, the government is going to open the door of yet another technology park in the country, this time in the border district. 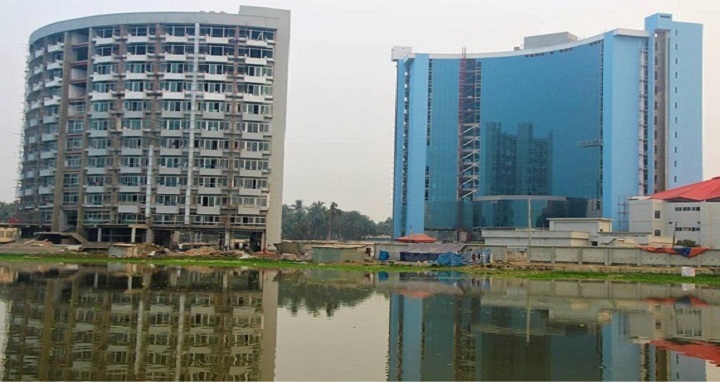 Prime Minister Sheikh Hasina is scheduled to inaugurate the Sheikh Hasina Software Technology Park through videoconferencing from her official Ganabhaban residence at 11.30 am tomorrow, ICT division sources said. "We have constructed this park to ensure balanced development of the ICT industries in country's southwestern region. Prime Minister had given particular directions in this regard and the park has been built under the overall supervision of her ICT Affairs Adviser Sajeeb Wazed," State Minister for ICT Division Zunaid Ahmed Palak said. The ICT Division sources said a 15-storied multi-tenant building with all necessary modern facilities, a 12-storied dormitory with international 3-star standard accommodation and gymnasium facility, a canteen and amphitheater, a 33 KVA power station have been built at the park. "We have already allocated space at the park to 40 local and foreign companies. Around 5,000 people will get direct employment opportunity at the park. A new horizon of possibility in the ICT sector will be opened through the inauguration of this park," Palak added. Government has taken initiatives to establish IT/hi-tech parks in all the divisions and districts to achieve Vision-2021 and sustainable development goals (SDG) within the stipulated time. It has till now adopted plans to establish 28 IT/hi-tech parks, which will be expanded to all the districts in the future.